The most exciting thing a gardener can achieve is to grow flowers from seed. It seems so amazing that a beautiful flower can grow from what appears to be a small, brown (usually), dried up granule. Whatever flowers you are into, check out Unwins Seeds, which sell hundreds of different varieties of flower seeds that are available nationwide from garden centres. Growing from seed is easy. Every packet has detailed instructions to guide you through the stages. Most seeds require warmth and moisture to germinate, some require light and cold stimulation. It is a good idea to invest about £20 or so in a heated propagator to get them started early enough so that they flower in the same season. Fill a pot with Gro-Sure Seed and Cutting Compost. 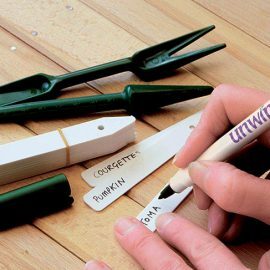 Shake the seed packet gently to loosen the seed and then open the seed packet and tip a few seeds into your hand. Tiny seeds can be scattered over the surface of the compost. For larger seeds, make a hole using a dibber in the compost. Individually place a seed into the hole. Cover with a thin layer of fresh compost and water with slightly tepid water. 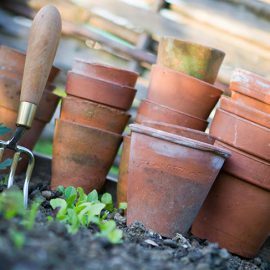 Label the pot carefully with the date and seed variety and place in a suitable place for germination. Seeds that require heat can be placed in a heated propagator. Seeds that need a frost-free environment can be placed in a cool greenhouse or on a windowsill. Once seeds are sown, get ready to prick them out by reading our how-to guide.